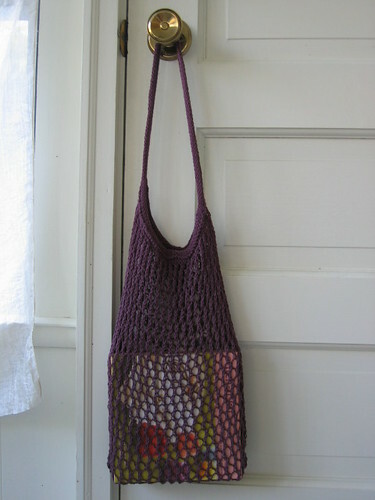 I completed one Elisa's nest tote while on vacation. I love the finished product, but I was not so fond of crocheting the seams. I try to avoid patterns with seams, because I hate them so much, but this pattern is so cute that it's worth it. I was motivated to finish it by the Stash and Burn one skein contest.